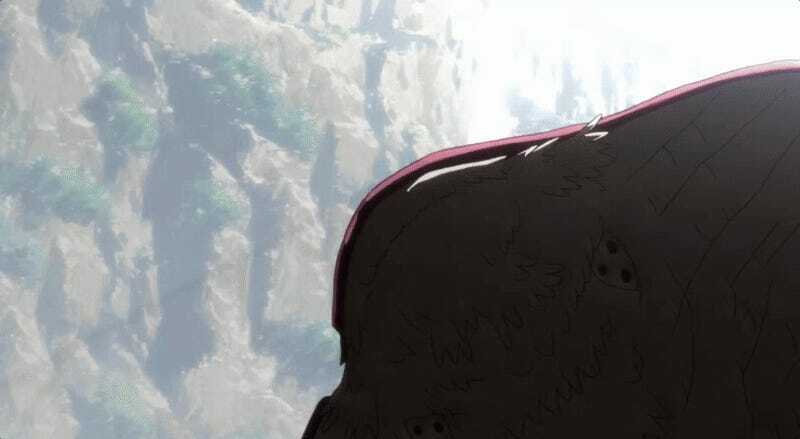 Early on in this summer’s standout fantasy anime Made in Abyss, the troublemaking 12-year-old orphan Riko reveals a compass that always points to the bottom of the netherworld. It’s an artifact she pocketed while cave-diving in the endless pit around which her hometown formed. Boasting to her friends, Riko explains that the compass is what’s galvanizing her to go follow her mother, a famous cave-diver, to the pit’s bottom. 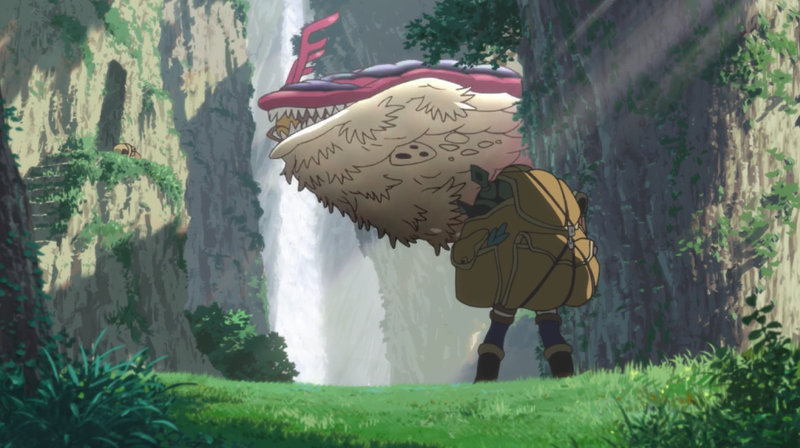 This happens in the first few moments of Made in Abyss’s second episode, and yet, its fantasy world was already so powerfully intriguing that I knew I had to watch the whole show. 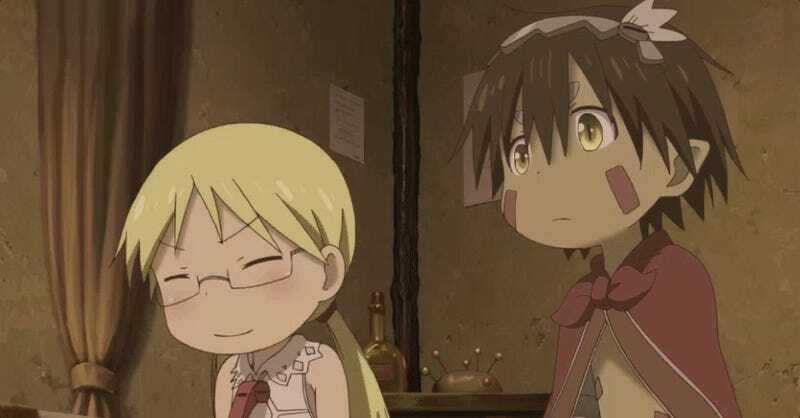 Made in Abyss was originally a webcomic rather than a print manga, which is the traditional starting point for most anime. Its creator, Akihito Tukushi, is relatively unknown. Out of this relative obscurity came a surprisingly special (and apparently high-budget) show that’s restoring my faith in contemporary fantasy anime. Anime Strike, Amazon’s anime channel, simulcasts an episode every Thursday. Each of the anime’s now-five installments has proven more wondrous and intriguing than the last. 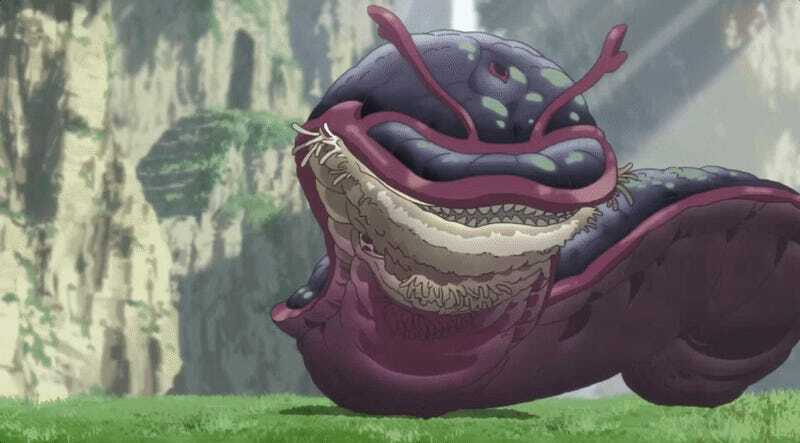 Made in Abyss takes place long after humans discovered a bottomless pit in a far-flung island. A bustling city forms around the pit, which is a time tunnel to a lost civilization whose artifacts Cave Raiders pillage and sell. The deeper they go into the abyss, the more likely humans are to contract a fatal illness called the Curse of the Abyss. And deeper down, of course, are the most valuable artifacts. The protagonist Riko is a strong-willed Cave Raider who lives at an orphanage where the children of Cave Divers learn their deceased (or absent) parents’ relic-hunting trade. Her mother was a legend. One day out in the field, Riko discovers a magnificent relic beyond any other she’s heard of: a cyborg boy named Reg, who accompanies her on her journey into the bottom of the abyss, where her mother disappeared long ago. 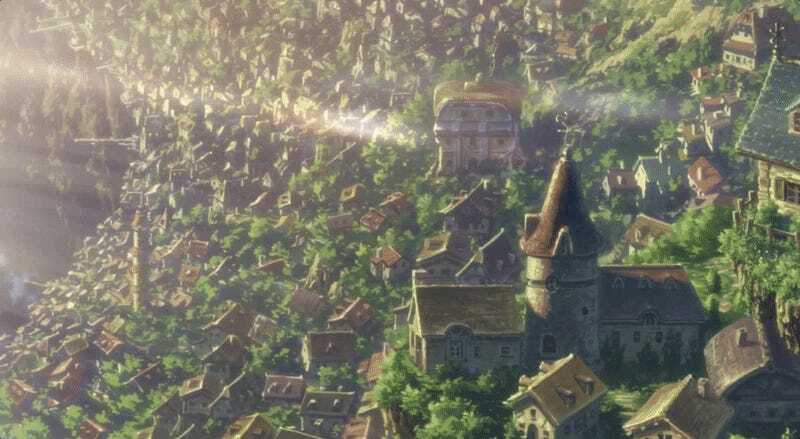 Unlike lots of anime today, Made In Abyss’s world is conveyed through in-character exposition and excellent cinematic direction rather than direct explanation. More compelling than a voice-of-God narrator is hearing the director warn orphans about shaming their parents and stealing relics; Riko explaining the Curse of the Abyss to the cyborg Reg; or the orphan Shiggy detailing the abyss’s map to Riko and Reg, who are poised to run away from the orphanage. Sprawling, vertigo-inducing panoramic shots show the world’s infinite possibility, as do magical found artifacts. It’s true fantasy in that its world is its most compelling character. And that world’s slow reveal of its rules (and the exciting ways Riko breaks them) makes a persuasive bid for viewers’ continued curiosity. At first, I wasn’t sure about the kids’ too-cute art style, and especially in contrast with the anime’s startlingly high-detail environments. 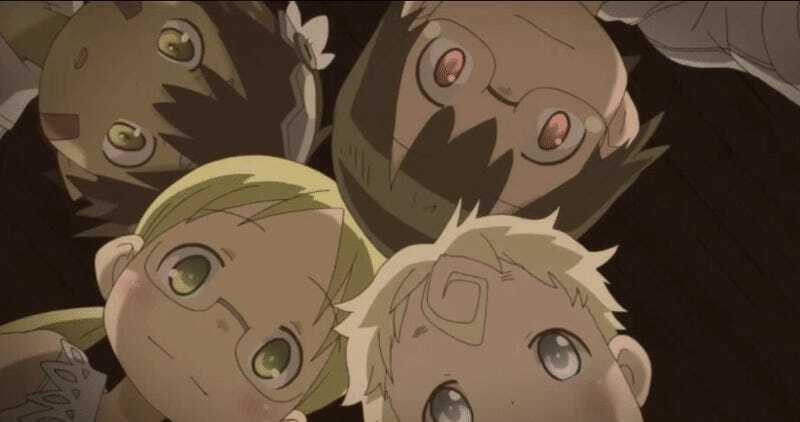 But like the famous dark magical girl anime Madoka Magica, which also gives off saccharine vibes early on, Made in Abyss is sure to get very grim (and violent) very quickly, from what I hear of the original web comic. For Madoka, that contrast made its sinister moments even more sinister. For Made in Abyss, surely, that will be the case too. The tension behind any great fantasy world is the battle between light and darkness, and Made in Abyss definitely conveys that.